to help casters put par, power and precision in their presentation. Top entertainers are in constant practice for the moment they take the stage. The same principle applies to fly-fishing. The time to learn how to make the connection is before the performance. The fundamental physical skill in fly fishing is the cast. And the purpose of the cast is to place the fly with accuracy. Sometimes we look at a challenge on a stream or lake and are left wondering how to reach a feeding fish without spooking it. Now, from Orvis, comes a golf-style fly-casting course designed to make fishermen better casters and improve their skills on the water. 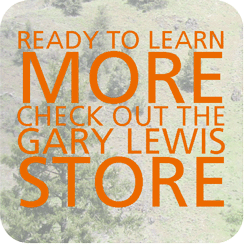 Orvis, the fly-fishing and wing-shooting retail chain from Vermont has a new store in Bend, Oregon, 541-312-8200, and a first-of-its-kind '18 hole' casting course designed for beginners and experts, complete with challenges, scorecards and par – for level one, level two and level three classifications. Accessible, open year-round, and FREE, the Orvis Casting Course at the Old Mill is not about competition. The emphasis is on education and fun. The target hoops are large enough that a beginner, after a little instruction, should be able to hit them, but the challenges are advanced enough that an expert-level caster will be pushed to his limits. Casters can walk on at any time, play one hole or nine holes or all 18, free of charge. Fly casters should bring a single-hand fly rod with floating line (4-6 weight recommended), a 7-1/2' 2X leader, and yarn (flies are not allowed on the course). A course map and scorecards are available at the Orvis store. Challenges are described on information posts at each hole and are designed to emulate conditions that anglers are likely to encounter on the water. Challenge No. 1, named Allingham, for a hole on the Metolius River, is found on the lawn next to the store. The targets are within easy reach, a par 3. Hole No. 5, Mecca (named for a stretch of the Deschutes River), promotes the control and accuracy needed for casting under low-hanging branches to trout rising near the bank. Here, the caster needs to power a tight loop through an upright five-foot diameter iron hoop. Hole No. 6, The Canyon, is designed to teach the caster how to present a fly under and around trees or boulders in a stream setting. No. 9, Black Butte Pond, teaches roll casting in an intimate reed-lined stillwater. Golfers will find No. 11, Bonefish Flats, a par 4, and No. 14, a par 7, similar to a golf course challenge. No. 14 has 530 feet of fairway. For par, seven casts are required from foot marker to target. Focused practice develops an angler's casting repertoire far better than fishing. Distance comes as fundamentals improve, but it is accuracy and delicacy that matter. That is the genius of the casting course. An angler, whether shooting for score on Level One, or testing his skill on Level Three will be able to hit close targets with fewer false casts, reach around obstacles or chase a feeding fish with successive casts.